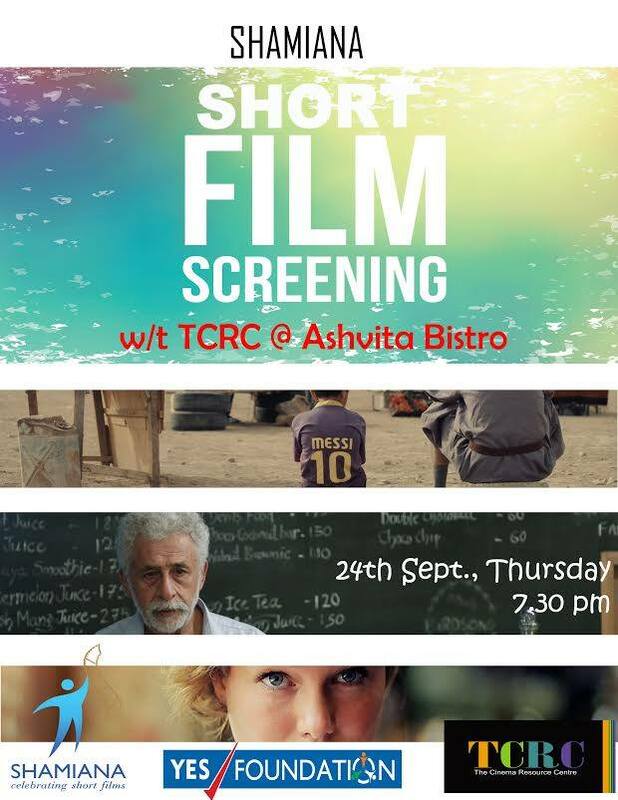 TCRC is happy to collaborate with Shamiana, Mumbai for yet another evening of short film screenings @ Ashvita Bistro. A heart-wrenching story of a little boy, Hamoudi in war torn Iraq around 2009 and the little struggles he goes through just to play football with his friends. Until, one day when his TV breaks down and getting it repaired changes things forever… Simply brilliant! When the past catches up with the present over a coffee and a bread pudding at a quaint cafe, memories come rushing back. But will they be able to make up for the times they have lost? A beautiful, multi-award winning short film! Lila is a dreamy girl who can’t resign to accept reality as flat as she perceives it, hence she uses her imagination and her skills to modify it. * A Goya Awards nomination. Followed by a short discussion. RSVP: Sms ” short films” with you name and email to 9791088189 for a slot.